OverviewThis unit raises awareness of those people who give humanitarian assistance to people in need worldwide and highlights the importance of international cooperation. Note: You might need to give some explanation about what the items mean or what the context is, e.g. ‘bathing’ = you could never shower again; ‘life jacket vs life saving medicine’ = you are fleeing an area of conflict and you are taking a sick child etc. Feel free to take these clarifications from the video. After doing the activity, ask students how they felt about making the decisions. Were there easier and more difficult choices? Could they choose at all? You can also tell them about the video and ask why they think this video was made in the first place. Who needs to make such decisions? To check their predictions, play the next video about World Humanitarian Day. First, students can get a general understanding of the video and the issue. When they watch it for the second time, ask them to focus on the following questions: WHO / WHAT / WHEN / WHERE / HOW. This will give them a chance to focus more on the content of the video. The ensuing activities aim at familiarising students with World Humanitarian Day by working with the following text. For practising grammar, you can turn it into a gap fill. Put the following verbs into the text. Note that you might need to change the form of the verbs. Every day, humanitarian aid workers stand on the front lines of war and disaster, braving tremendous dangers and difficulties to (1) ___________ assistance to those who need it most. 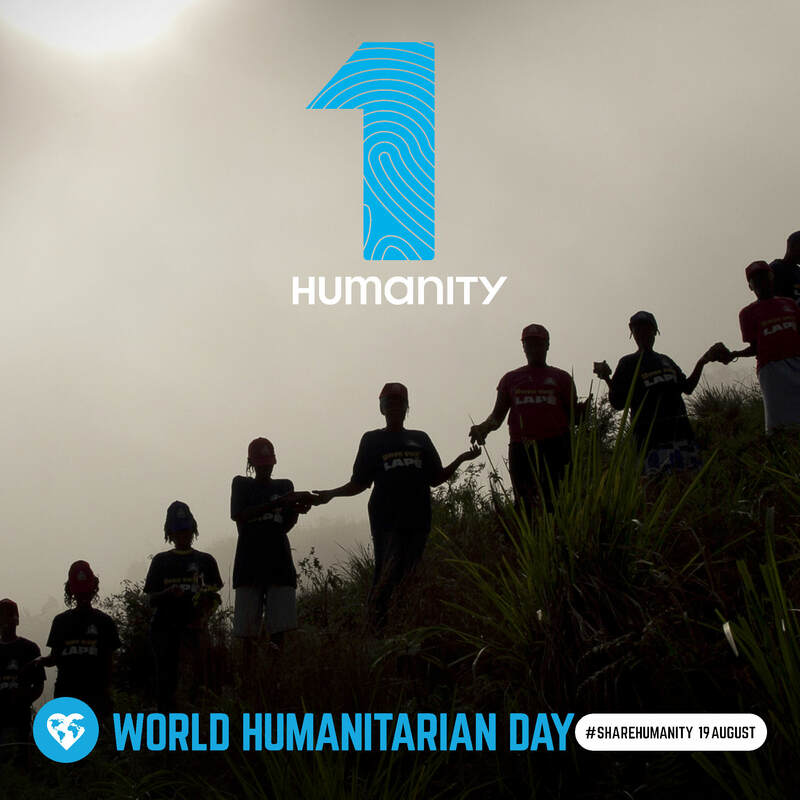 World Humanitarian Day (WHD), which takes place every year on 19 August, recognizes the aid workers who (2) ______ their lives in humanitarian service, and (3) __________ people to advocate for humanitarian action. The day was designated by the General Assembly seven years ago to coincide with the anniversary of the 2003 bombing of the United Nations headquarters in Baghdad, Iraq. This World Humanitarian Day, the UN and its partners are (4) __________ for global solidarity with the more than 130 million people around the world who need humanitarian assistance to survive. Under the theme of ‘One Humanity’, World Humanitarian Day will (5) ________ how the world (6) ________ together in Istanbul for the World Humanitarian Summit earlier this year, and made commitments to support people (7) __________ by crisis and ensure that aid workers can safely and more effectively deliver to those in need. Events will (8) ___________ around the world on 19 August to honor the work of humanitarian workers and to celebrate the theme of ‘One Humanity’. In New York, a wreath-laying ceremony will (9) ___________ at the United Nations headquarters, and a high-level event will be held in the General Assembly Hall. In addition a digital campaign will (10) _________ place on the day to raise awareness of the impossible choices that people caught in crisis face. World Humanitarian Day will also feature photo exhibitions and film screenings documenting the lives of those affected by conflict and disaster. For practising vocabulary, you can check the meaning of the coloured words by providing a definition and asking students to match them with the words. At this stage, ask students to create something related to World Humanitarian Day. For instance, you can ask them to create a poster for the day. They can simply draw them or if they can use a computer in class, they can design one with the help of it. Instead of or in addition to this, you can ask students to come up with a 6-word slogan. It can be anything related to WHD but can only contain six words. Encourage students to share these slogans at the end of the class, by e.g. putting them on the board or the walls of the room. Note: The idea of a 6-word slogan came from World Savvy.